A few months ago, this couple got married at the Prince Georges County Courthouse in Upper Marlboro. It wasn’t just a ‘get it done’ kind of thing you probably imagine when you hear the word “elopement” though. This couple included all of their closest friends and family to come and witness their union, and they brought William in to capture the moment and create some commemorative portraits of everyone together. 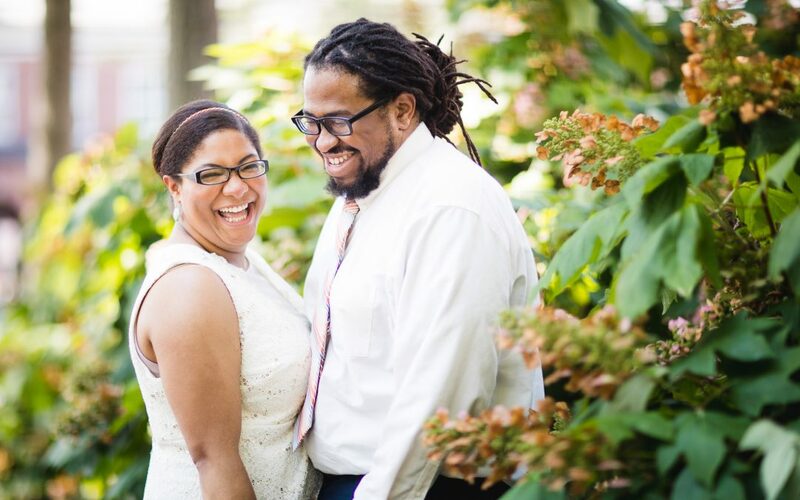 The following day, we all reconvened at the Chart House in Old Town Alexandria for a reception where the love, sentimentality and style of this couple was on full display. Courthouse weddings, while not the most ‘elegant’ venue, are no less weddings than the $60,000 hoopla at the country club. Every element that actually matters is still there, and it can be whatever you want it to be. Private, public, fancy, laid back. It is your wedding after all. And, It doesn’t even have to happen at a courthouse! Did you know anyone can officiate your wedding, anywhere. There’s no magic incantation, no formal ‘training’ requirements. You can find your 10 closest friends and family, and get married in front of the Washington Monument, officiated by your best friend from grade school, if you want. Of course, we love ‘traditional’ weddings too, but they’re not for everyone. And that’s okay! A wedding day is an incredibly personal event, and it should reflect you and your values. Check out some of our favorite photos from this event, and, if you’re thinking of eloping and are interested in hiring a photographer to cover the happenings, check out the wedding photography page on our website. We have packages specifically for these kinds of weddings.